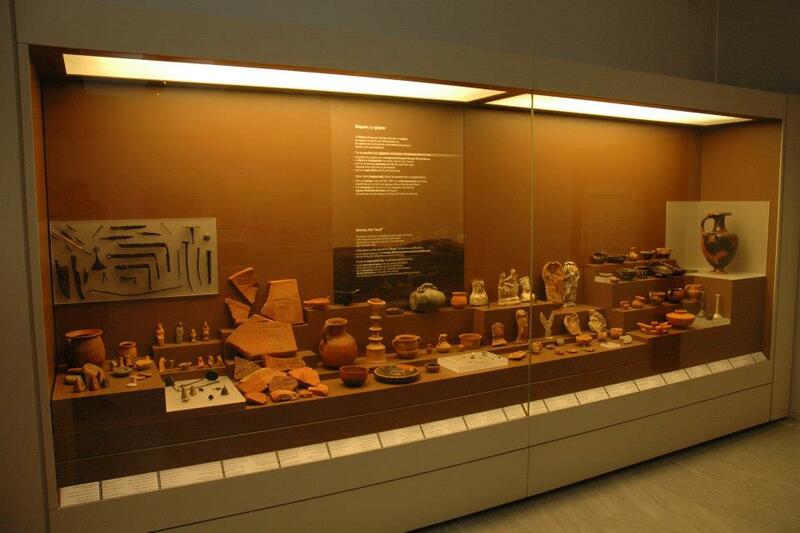 The Archaeological Museum of Karditsa, aspiring to form and strengthen a close and creative relationship between the citizens and the ancient remains of their land, is housing representative and extremely important finds from the region. 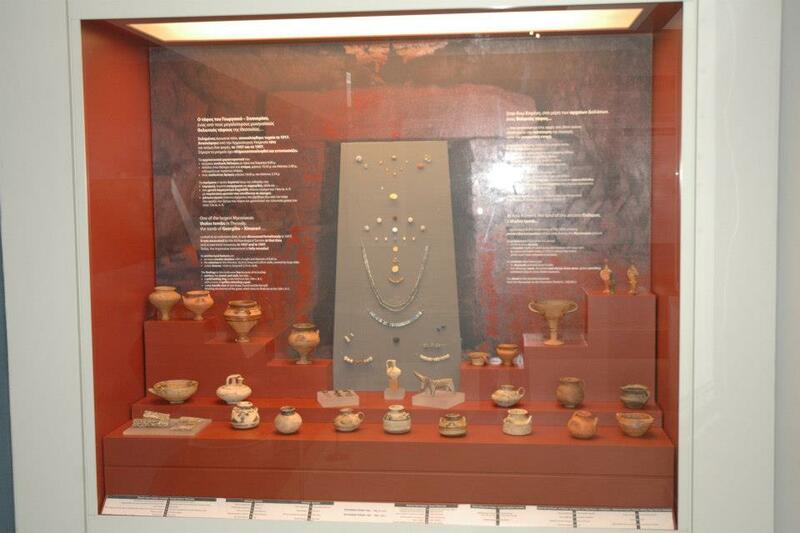 These finds record the character of the culture and the cultural development of the prefecture of Karditsa through a journey covering the Prehistoric and Historic periods, from the Paleolithic and Neolithic to the Late Antiquity. 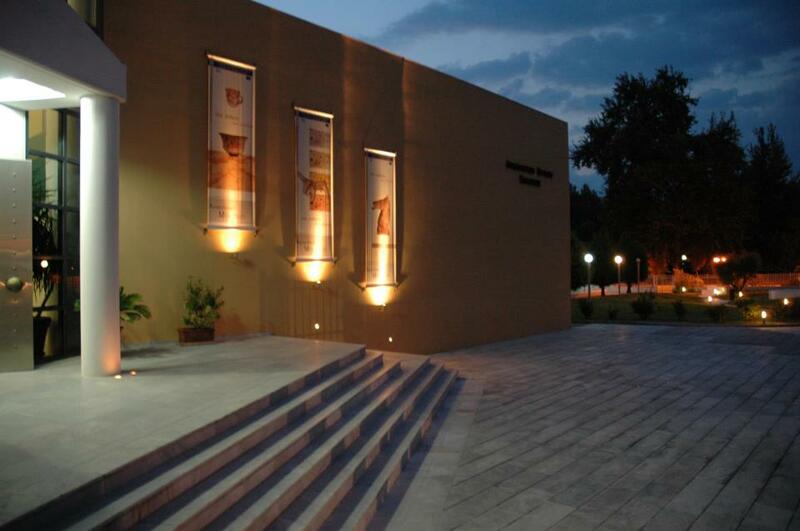 The museum is placed within the urban tissue of the city, in immediate interaction with the Municipal Picture Gallery, while it is linked through a pedestrian street with the reconstructed Municipal Market, which is the other pole in the city's social activity. 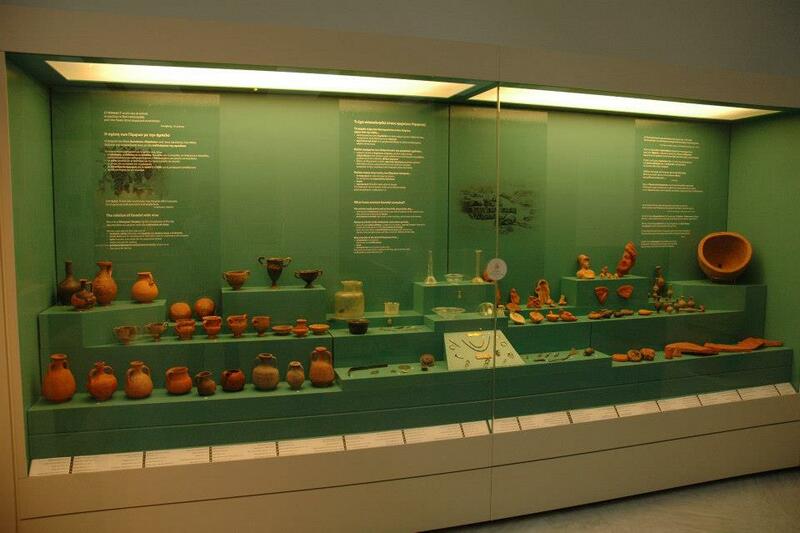 The available archaeological material exhibited mainly conists of finds that came to light by numerous rescue excavations for private and public works, by surface and systematic research, by the collection and delivery of anicent objects to the authorities. 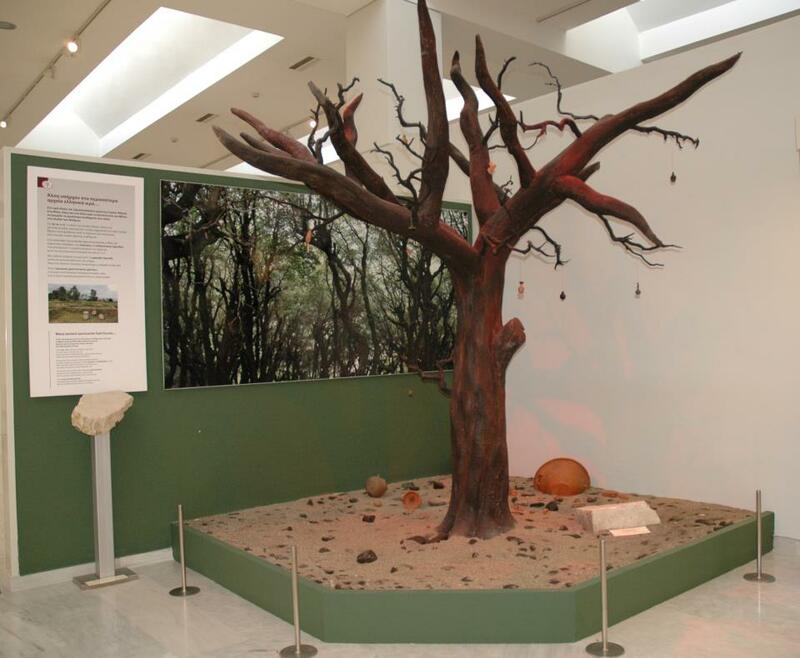 The exhibition is structured in chronological and in thematic unities, aiming at an anthropocentric approach of the past. It refers to everyday activities, aesthetics, commerce, economy and to death as the natural end. 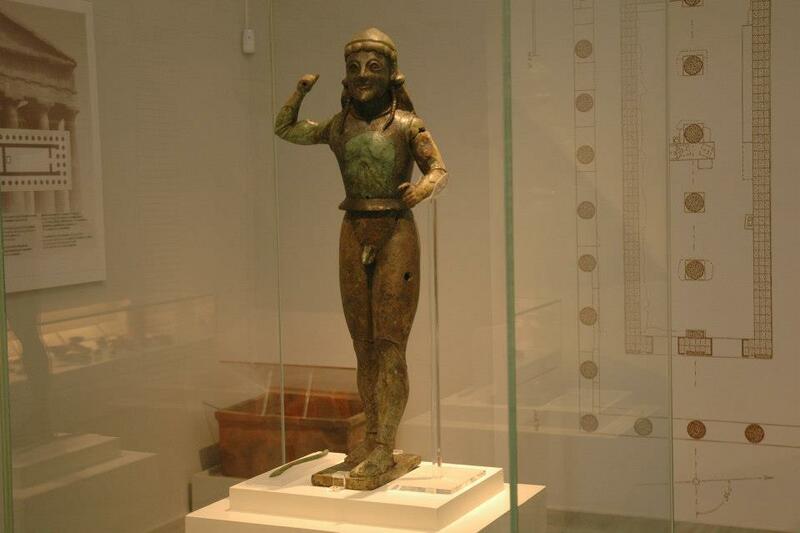 The visitor is introduced to the exhibition through two modern artistic creations, within the context of the relationship and the influence that Time exercises on Space and on Men; a projection of pictures from the region of western Thessaly highlights this theme. 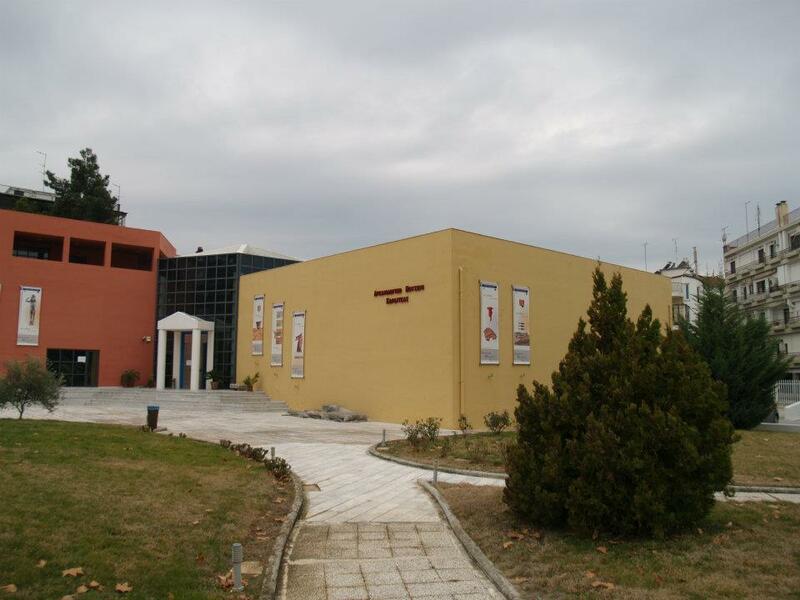 There is also an exhibition of Palaeolithic finds from the region of the artificial Plastiras Lake - among them, two leaf-shaped flint heads, dated at the Middle Palaeolithic Period, are especially important. 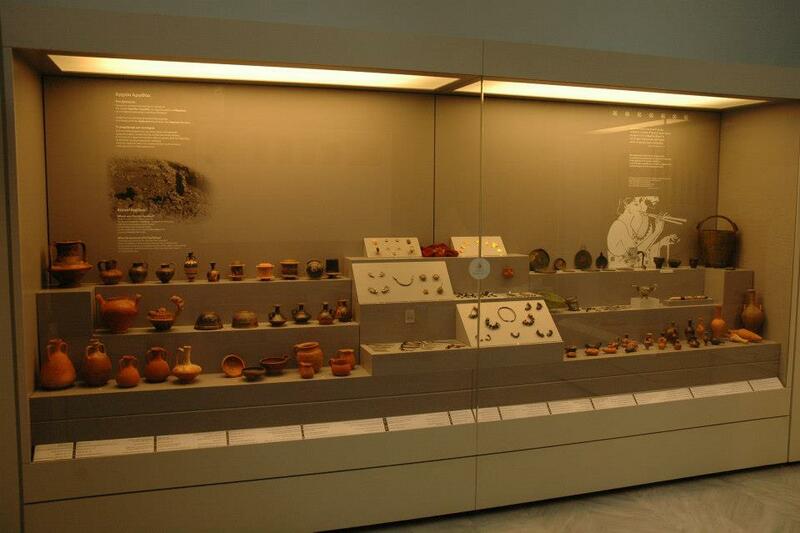 The visitor is subsequently acquainted with the cultural activities and the artifacts of Neolithic and Bronze Age societies. 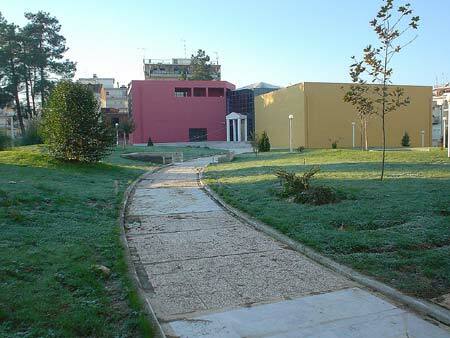 The contribution of western Thessaly has been important in this respect. 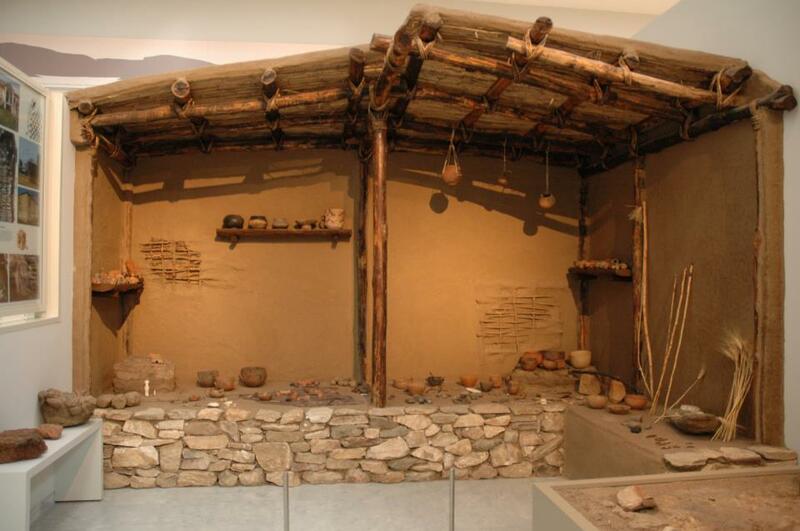 This unity is dominated by the modernized presentation of part of a Neolithic house. 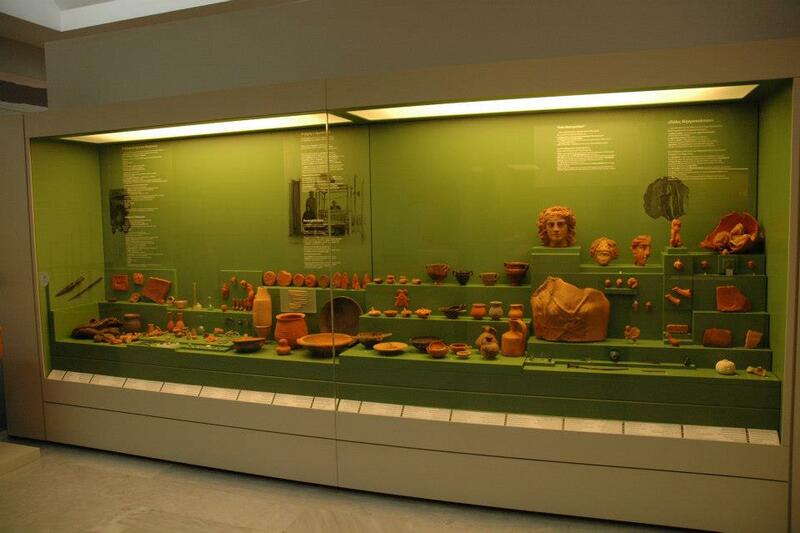 Through the help of visual materials, the visitor has the opportunity to be familiarized with its architecture and organization. 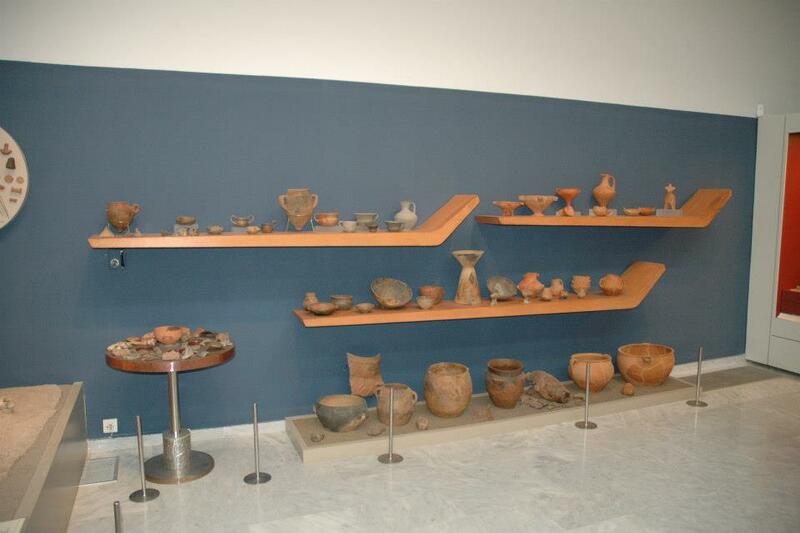 Some interesting finds include the fruit-bearing vase from Astritsa, the furnace from Sykeon, the model of a house from Mavrahades, the pottery, the tools and the creation of figurines of the Neolithic period. 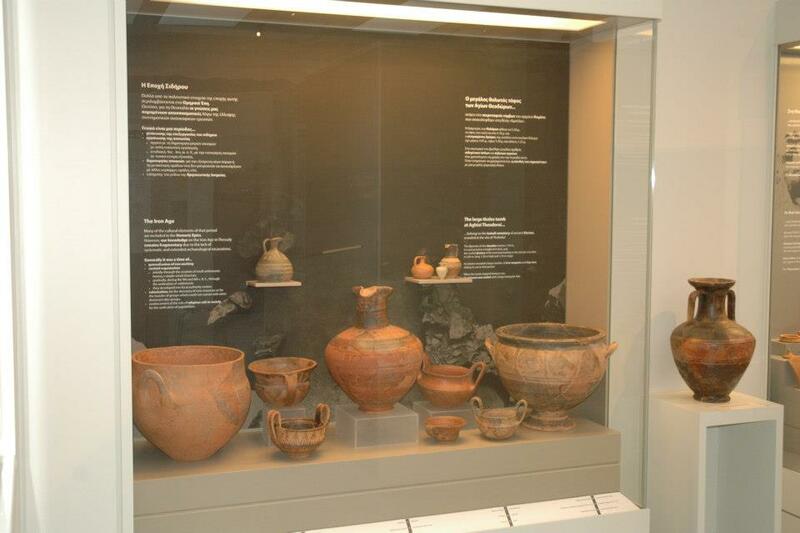 Noteworthy finds of the Bronze Age are objects from Prodromos, as well as the clay vases and the bull from Mavromati, the authentic burials from Prodromos and Petroporos at Trikala, the objects from the tholos tombs of Georgiko and Ktimeni. 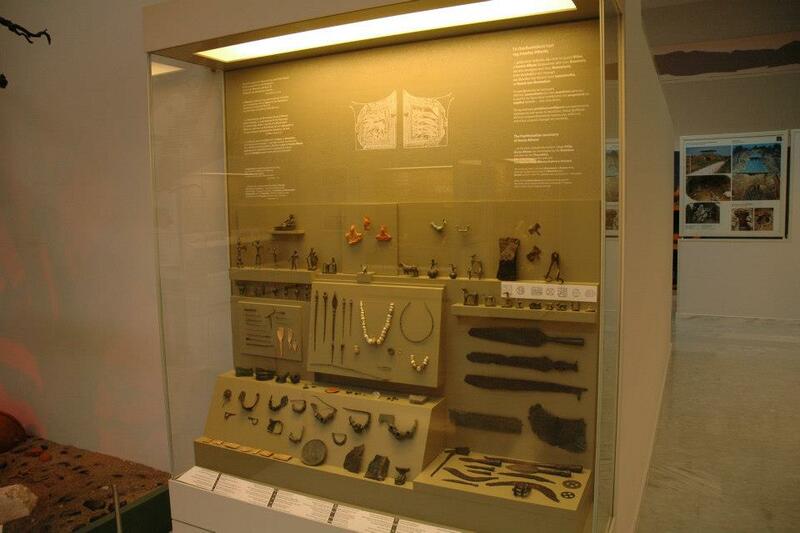 The most representative finds of the Iron Age are the objects of the tholos tomb of Aghioi Theodoroi. 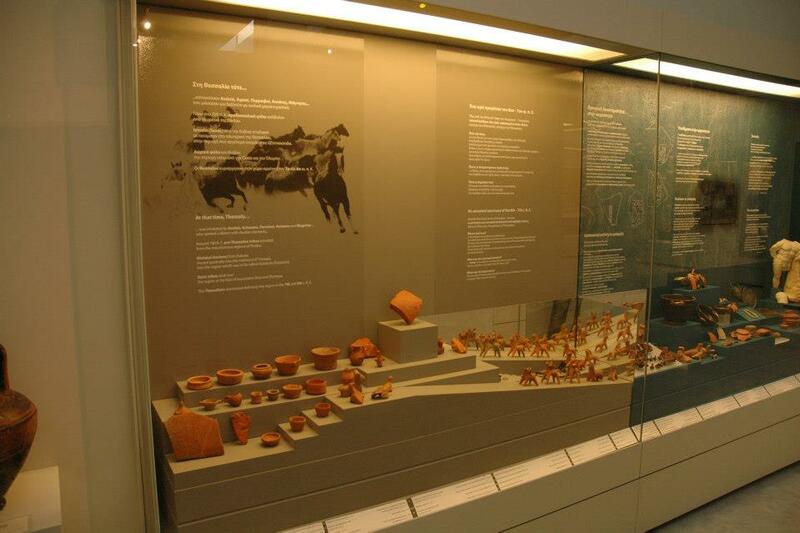 The finds from the Heroon of Aiatos, outside the tholos Mycenaean tomb at Georgiko, which was the emplacement of a Sanctuary of the ancestors, are related to the establishment and function of the first city-states in western Thessaly. 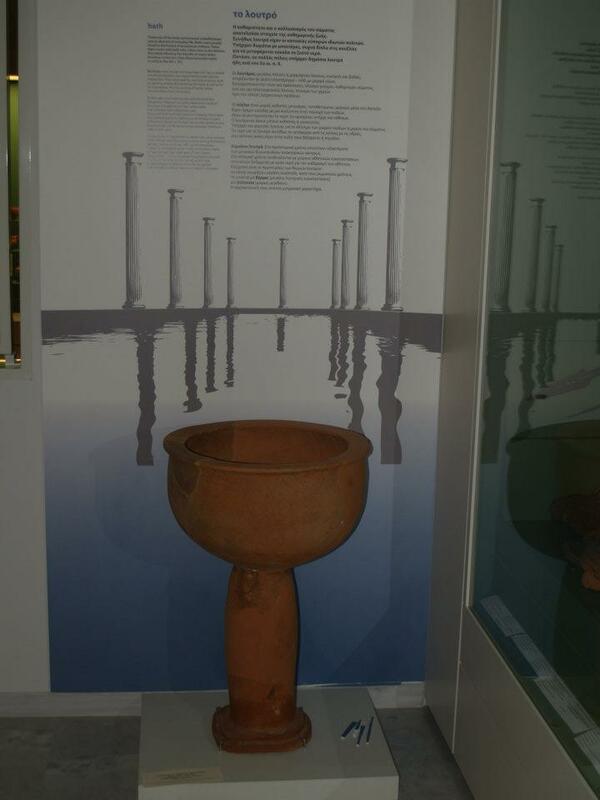 From the historic period, the archaeological finds from the ancient cities of Kierion, Orthi, Mitropoli, Gomfoi and Argithea are of particular interest, as they identify the ancient cities of the region mentioned in literary sources and confirmed through epigraphic testimonies. 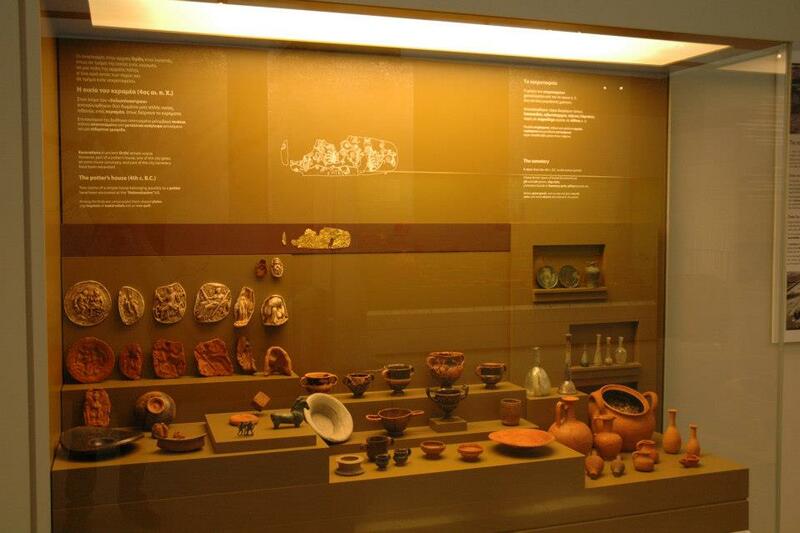 Moreover, visitors can see Attic vases from Aghia Triada, grave offerings from the Kykeon tumulus and coins of the Thessalian League and of cities of the area. 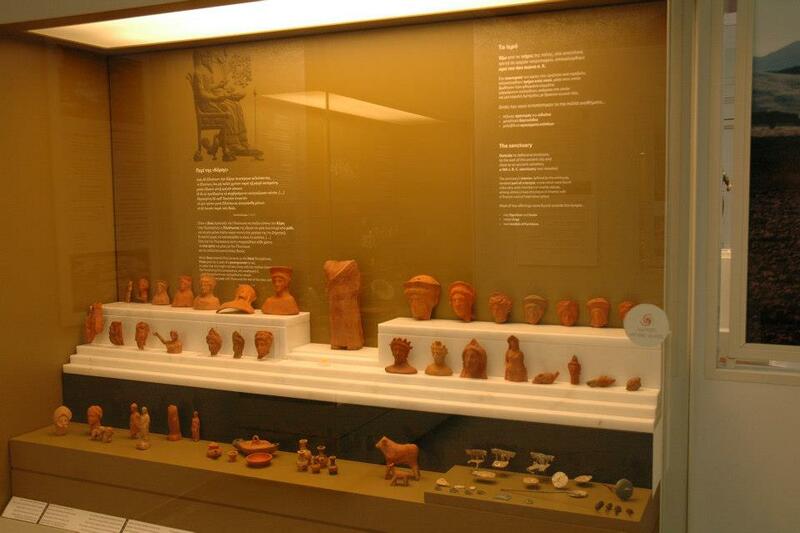 The objects coming from the Panthessalian Sanctuary of Athena Itonia at Philia are also noteworthy. 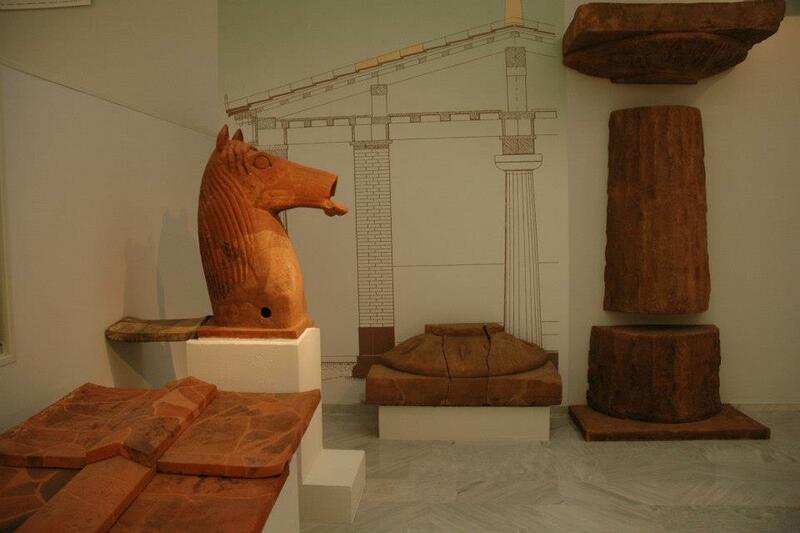 Our attention is drawn by finds such as the marble statuettes from the Asklepeion at Kierio, the statuettes from the sanctuary of Orthi at Kedros, the terracotta head of Dionysus from Mitropoli and the finds of the archaic temple of Apollo at ancient Mitropoli, as well as the terracotta horse head and the bronze statue of Apollo hoplite. 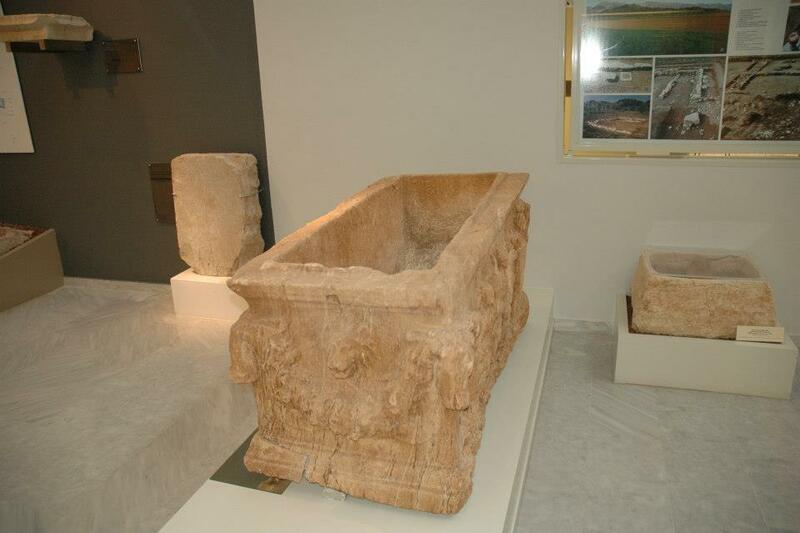 From the ancient site of Gomfoi, the larnax depicting the abduction of Persephone is of great importance for the stone-working activity in the region. 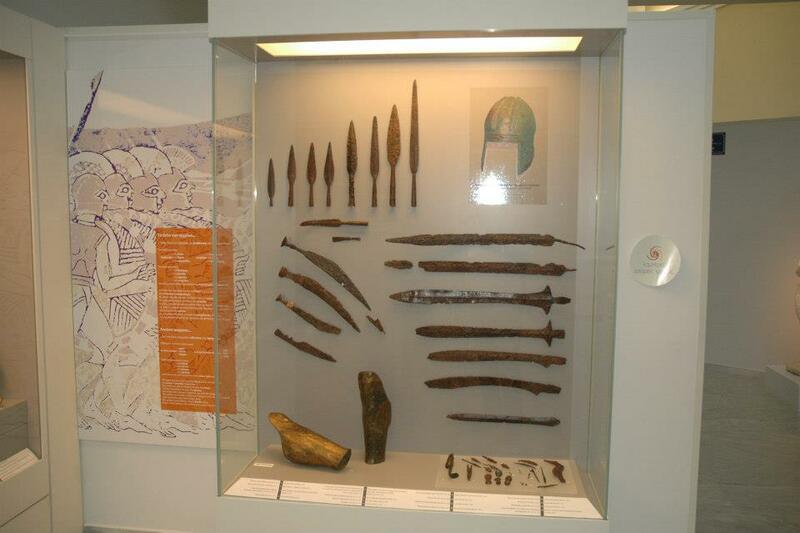 Grave offerings of Classical and Hellenistic cemeteries from the ancient city of Argithea include gold and silver jewellery, terracotta and glass vases, bronze gaiters and a group of iron spearheads and swords. The exhibition concludes with a special mention to the importance of protecting the cultural heritage, which is not only a valuable information source, but also has a multidimensional importance for society and for institutions.